25% Off. Hurry, there are only 98 item(s) left! Prevent vehicle theft with out RFID signal blocking pouch. With unique nano-materials and shielding two-layer design, this shielding pouch can effectively block car keys and cell phone signals. 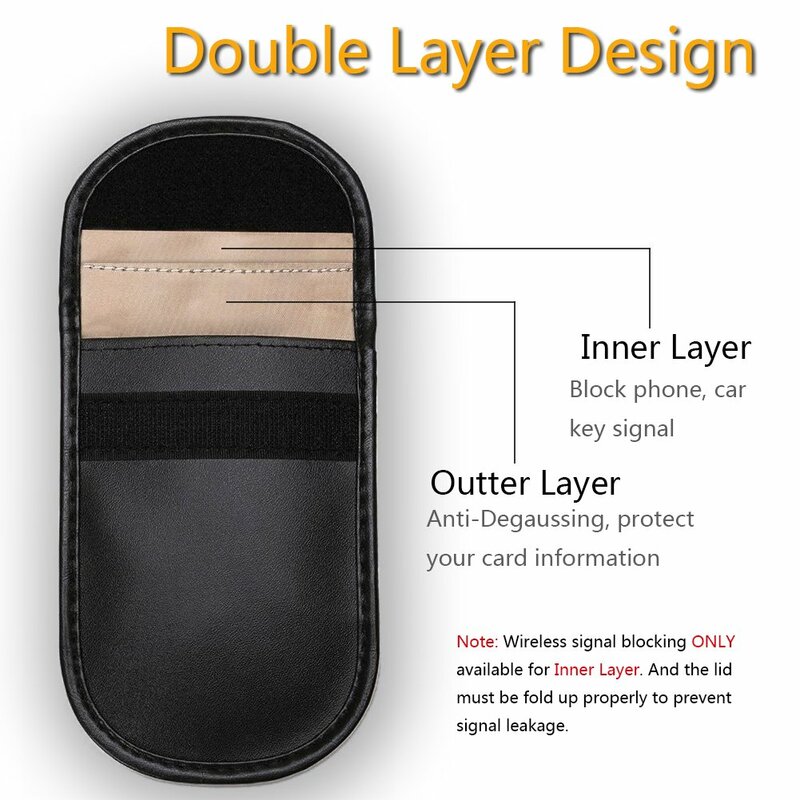 ✅ Two Shielding Layer Design - The inner layer is best for storing ID cards, bank cards, etc ; The outer golden layer for signal blocking, best for storing car key, cell phones, etc. ✅ Wide Application - Can be used to block unwanted calls, SMS, Wi-Fi, 4G, Bluetooth, cell phone GPS, RFID, NFC, car-key fob signal.